With the advent of Reliance Jio and the onslaught of cheap-yet-capable Chinese smartphones, millions of Indians have come online for the first time in their lives. These netizens have not witnessed the Internet maturing/evolving over the years, and have been thrust directly into the world wide web with little knowledge of what to expect out of it. As such, their behavior seems gullible to others who have witnessed the evolution of the Internet and who know the dos and don'ts of the online experience. So it isn't surprising when these first-time netizens consider video sharing community sites such as YouTube as absolutely credible sources of news information, without realizing the potential of misinformation creeping in and mixing along with the facts. YouTube recognizes this, and is thus taking more steps to fight fake news and misinformation on its platform. 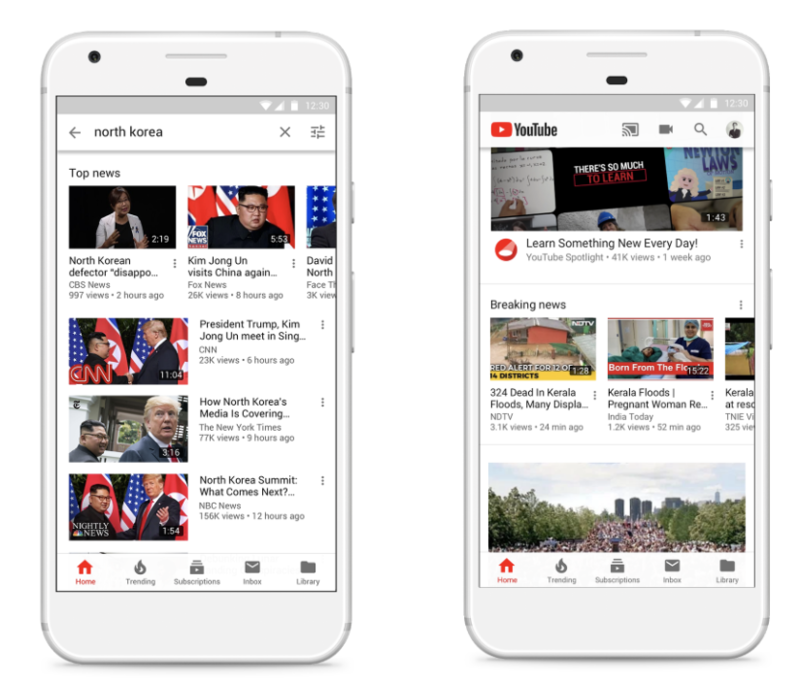 YouTube has begun providing more context, in the form of information panels, alongside news to help people make their own decisions regarding the subject or event. These information panels will also include fact checks from eligible publishers in English and Hindi, thus providing for more context on topics that are prone to misinformation. These fact checks rely on the open source Schema.org ClaimReview markup process, allowing any "eligible" publisher to contribute fact check articles that can show in search results on Google Search, Google News and now YouTube. YouTube has also begun prominently featuring authoritative sources across the platform through the Top News and Breaking News shelves. The app and service will also begin showing when a news publisher is "funded in whole or in part" by the government, or is a "public broadcast service", along with a link to the publisher's Wikipedia page. This information panel will be displayed on the watch page of all the videos of the channel. The goal with all of these initiatives is to provide more context to the viewer to let them take more informed decisions about the news and content they watch. While this is certainly preferred over direct censorship of content, these initiatives unfortunately rely too much on the consumer of the content, who may not always be in a position to appreciate facts that seek to appeal against his personal opinion and wisdom. Hopefully, better sense will prevail in the long run. 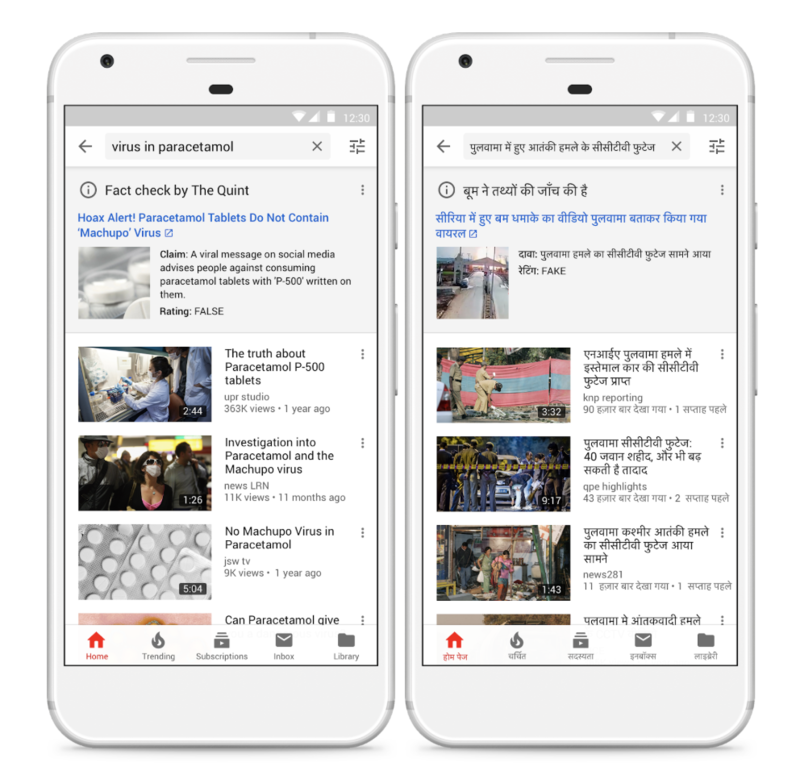 The post YouTube will fight fake news in India by introducing more context through information cards appeared first on xda-developers.